Yellowhammer Inspection Services, LLC is a qualified commercial property and home inspection service. You can trust us to provide you with the information you need to make a wise property investment. Our inspection services are designed to find any issues that might exist in a property you're considering purchasing. 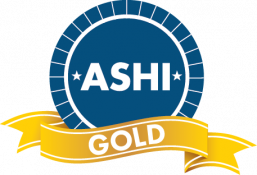 You can count on us to conduct an in-depth review of every part of the building or home in question. If there's a problem, we'll find it and report it to you. To schedule your home or commercial property inspection, contact us today. What inspection services do you need? We can also inspect external features of properties, such as pools and spas. To learn more about the services we offer in the Mobile and Wilmer areas, as well as all of south AL, call us today at 251-472-6727. Why hire Yellowhammer Inspection Services to inspect your home? We know where to look for the most common issues. We'll spend as much time as it takes to examine every part of the home. We'll give you a detailed report on our findings, not just a pass-or-fail rating. 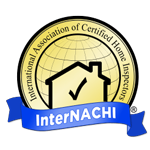 Once the home has been carefully inspected, we'll make you aware of any issues we find. Using this information, you can negotiate with the seller if any problems exist. You'll be able to make an educated decision and purchase the property with confidence. You'll get a great deal when you hire Yellowhammer Inspection Services. Call today to schedule your inspection in the Mobile, AL area.